Author EE Isherwood - Home of EE Isherwood. Indie author of zombie books. Hello and welcome to the home of E.E. 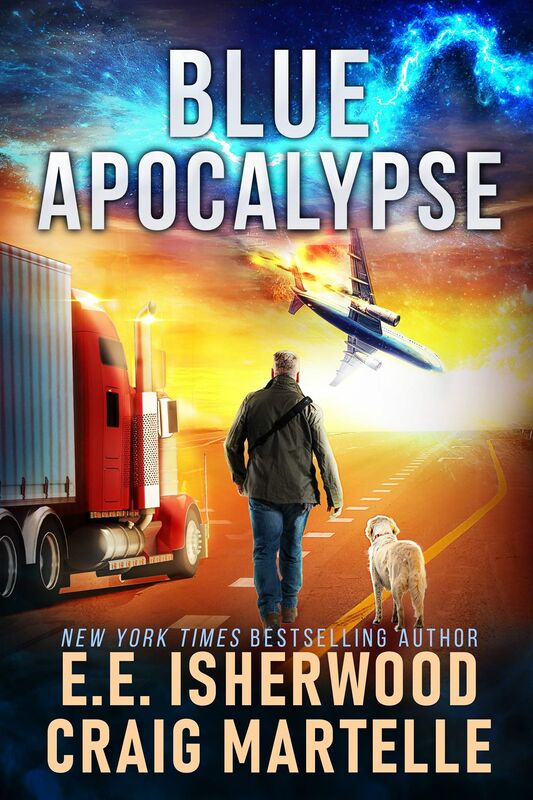 Isherwood, New York Times and USA Today bestselling author of the Sirens of the Zombie Apocalypse series–a universe filled with ever-evolving zombies, government conspiracies, and an average family stuck in the middle. 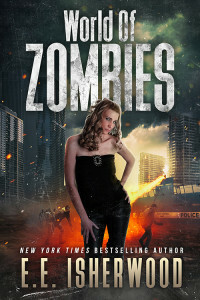 Click each cover to learn more about this series of zombie books! 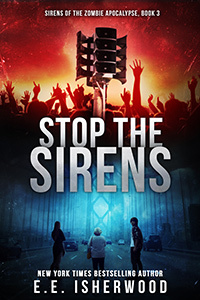 What is the Sirens of the Zombie Apocalypse series about? Liam Peters is a teen gamer on a real-life quest. 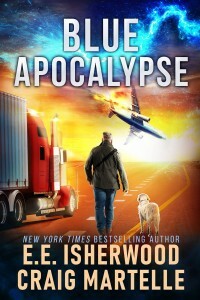 He has to save his great grandmother from a city overrun by zombies and figure out what makes her so important to numerous government agencies racing to find a cure. As the series progresses he learns where the plague started and how it can be stopped, but the human race is dwindling while the zombie armies are growing. Will he have enough time to save the world? Book 1 is FREE on Amazon. I’m taking a short break after writing Zombie Escape. It took me over two years between book six and this one, and I plan on making the next one happen a lot faster. I do have a vision for where the story is going next, but I’m interested in what you, the fan, like in your zombie novels. Your feedback may help me focus on certain things while diminishing others. For example, if you hate the running zombies, but love the crawling zombies, I can adjust. Here is a short poll. Select all that apply to you! What do you like in your zombie books? I don't care about stuff. Only zombies. Zombie Escape is now on Amazon. Please check back here for the link to buy on Amazon, as it should be live in the evening of 7.17 or early 7.18. I wanted to publish yesterday, but Amazon was down for me much of the day with all their Black Monday stuff. The world of zombies has reached a tipping point. The cure is out there, but can it be unlocked before the number of infected swells beyond counting? Liam and his girlfriend climb out of the Mississippi River after having survived twenty days of the zombie apocalypse. Their many adventures while looking for the cure could probably fill a book. However, today, only one thing matters to them: escaping the horde. 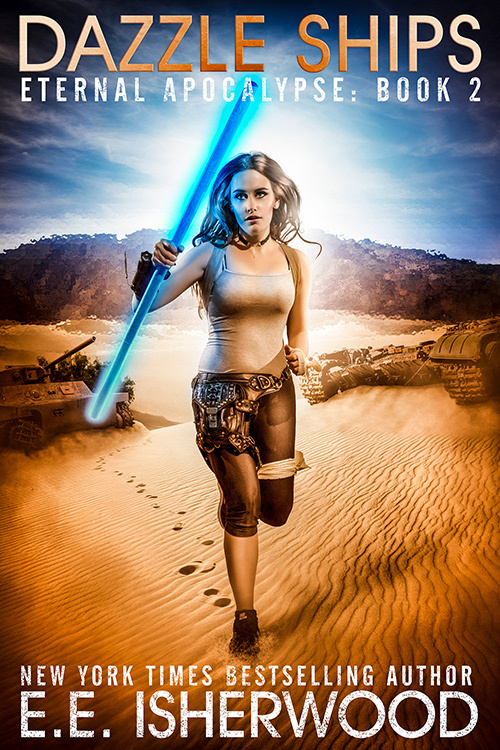 Marty Peters is also on the run nearby, but the horde is not after her. She is pursued by just one zombie. It doesn’t sound like much, but the fear is every bit as real, because it also happens to be her son. Liam and Marty must find ways to evade the looming zombie threats in the nearby farmlands, but ultimately their only hope is to find each other. Each of them contains biometric data necessary to unlock the ultimate cure. That salvation is three states over and beyond cities full of zombies. They’ll be pursued the whole way. If you are interested in what happened in the first 20 days of this zombie outbreak, you can read books 1-6 of E.E. Isherwood’s Sirens of the Zombie Apocalypse series. 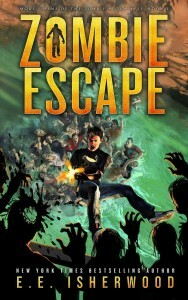 However, Zombie Escape begins a new chapter in this universe, and there is no requirement to read the earlier volumes. 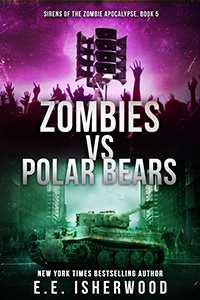 I’m pleased to announce the first book in my ongoing zombie series is now free on Amazon, Nook, and Apple. 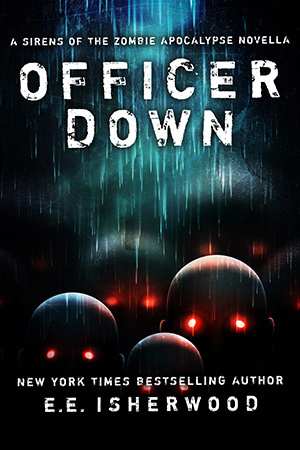 I’m almost done with book 7, and to celebrate the return to my zombie universe I wanted to open up the series to a new audience. If you haven’t jumped into the series yet, this is the perfect no-risk way to see what it’s all about. World of Zombies has been released! This zombie book was finished some time ago but I’ve been holding it on the shelf while I got distracted with some real life issues. 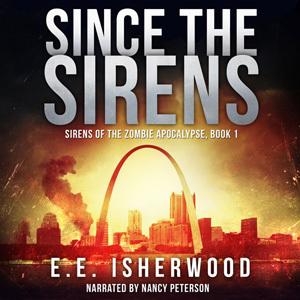 This is the origin story of one of the women who will show up in a future Sirens of the Zombie Apocalypse title, but I liked the character so much I had to go back and write where she came from. 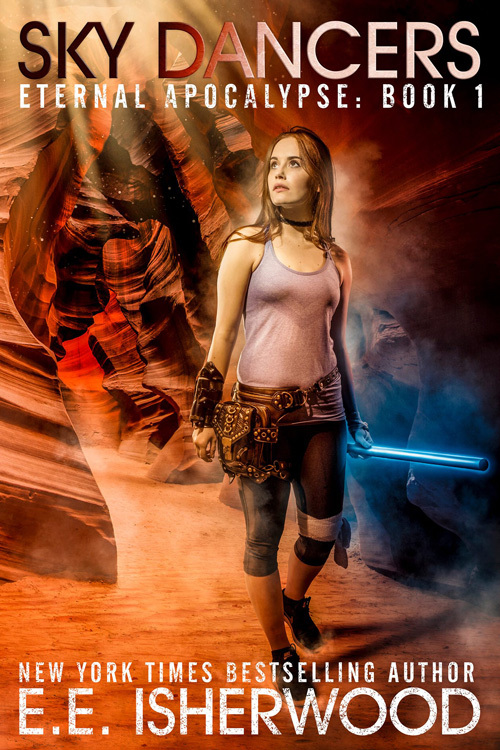 Kind of odd, I know, to write the origin story before we meet her in the main series, but when inspiration strikes I put the pedal to the metal! I hope you enjoy it. The story is set in Moscow, Russia and the scenery had been percolating in my brain since I traveled there back in 2011. 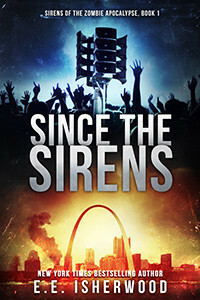 The book is listed as 159 pages on Amazon, but that includes some sample chapters from Since the Sirens and Sky Dancers. This is a novella, rather than a full-length novel. So where does the heroine of WoZ fit into my universe? Minor spoilers here, unless you’ve read my whole six-book zombie series and then follow up with Sky Dancers and Dazzle Ships. Those two books are set far in the future after the zombie plague has been sufficiently dealt with by the remaining survivors on earth. We know there is a great convoy of survivors that begins its journey on the US eastern seaboard and makes its way across zombie-infested America. We think it is heading for St. Louis, but there’s no telling because people generally go where they want, no matter what the government tells them. But first, she has to survive her first brush with the unique zombies in Moscow. 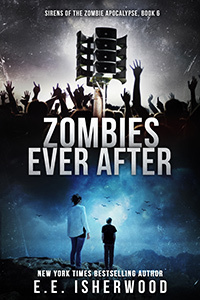 I’ve bundled zombie books 4-6 into a second boxed set bundle on Amazon. As books 1-3 were included in Zombie’s 1st Bite Edition it only made sense to take another bite out of the effort. These three books widen the world of zombies from mainly Grandma, Liam, and Victoria to several other characters. Some are part of the global conspiracy responsible for the zombie apocalypse. Some have spent a lot of time trying to stop it. The problem is identifying who is who! I hope you will find this bundle a good alternative to buying the books separately. You’ll save a couple of bucks and have them all in one handy package. PS. 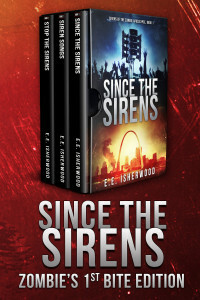 If you happen to be one of the thousands who already read these books, please consider dropping a review on the boxed sets containing those same stories. Each review is gold to indie authors such as myself. Wow. I can’t believe book 2 is done and out the door. Dazzle Ships is the second book in the Eternal Apocalypse series and it took me in directions I didn’t know existed. Certainly the final product looks much different than my initial outline for where I thought the story was going. But that’s what makes writing so much fun. I never really know until I’m inside the story. This series has many inspirations that are hard to evade when I’m immersed in the landscape. Ever play the game Borderlands? For some reason I think of that a lot, even though there isn’t anything taken directly from it. I think I enjoy the wild wasteland feeling in that game — anything can happen if you walk far enough. Another game that I often think about is Fallout New Vegas. Initially the comparison is apt because they take place in roughly the same geographical area. The Hoover Dam is in the game. But my reason for writing in this area is because I went there as a kid. See, I keep these ideas in my head for a long time before they come out! Finally, though I don’t take anything directly from the game, I can see Portal from time to time. The game area underground and a nagging A.I. help round out the comparison. Oh, and where would we be if not for the game Wasteland? From the movies, maybe that Resident Evil where they are in Las Vegas sinks in from time to time. I enjoy that one because it has so many great characters–that die! So what are dazzle ships? I’ve included a short epigraph to start the book, just in case you missed the definition in book 1. 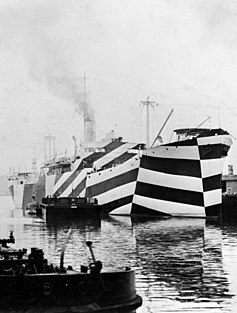 Dazzle ships: Warships painted with geometric lines and alternating colors, designed to both attract notice and confuse the onlooker as to their true nature. You can see an example on Wikipedia. I hope you enjoy it. Now, on to book 3, Heaven’s Vanguard. I’m a participant in the YA SUMMER SCAVENGER HUNT (rules) and this is where you’ll find all my information so you can scavenge away! I’m giving away copies of an introduction to my Sirens of the Zombie Apocalypse series, called Officer Down. 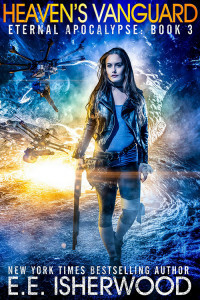 Most of my books are family-friendly and my six-book series of zombie books is often described as YA, even though I don’t market it specifically as such. I hope you’ll enjoy this dark descent into my universe! 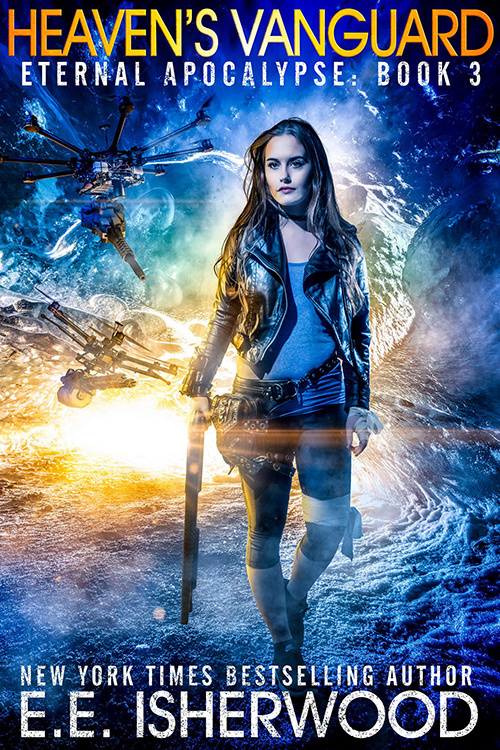 Today is the last day of Sky Dancers release week, my new dystopian book. It has been a long, exhausting few days and I’m actually looking forward to getting back to the peace and quiet of writing. However, I’ve gotten a lot of really nice reviews so at least I can return to the Isherwood writing bunker knowing it was a good story. Over the next few months, as book 2 and 3 are released, I’ll put money into advertising and make a big push to get the full series into the hands of more readers. I’ve found that the very best advertising is … writing more books! Last day to grab Sky Dancers for .99! Thank you to everyone who purchased a copy. I hope to see you for Dazzle Ships on June 29! I love these covers! 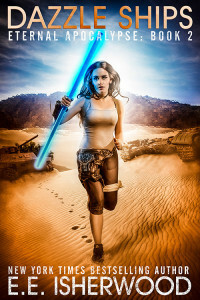 They were shot and created by Creative Edge. I’ve gathered my first three zombie books into this handy boxed set. Over 800 pages of zombie goodness as Liam, Grandma, and Victoria explore the collapsing world of the zombie apocalypse. 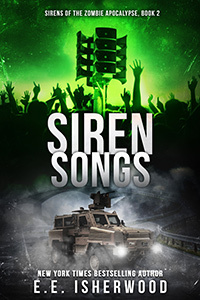 This version, titled as Zombie’s 1st Bite, contains Since the Sirens, Siren Songs, and Stop the Sirens. It makes a nice trilogy along what I call the “Grandma” storyline. Fun fact: I changed the second half of book 3 just before release so I could continue the story. I didn’t quite have a conclusion for the entire mystery of the plague itself, but it would have explained a lot more of the detail behind the cause of said plague and how Grandma Marty fits in. I’m glad I changed it to read the way it does now. New readers can save a few bucks by getting all three books in one. 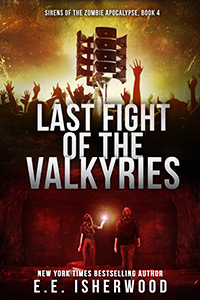 As you might expect, a second boxed set it in the works, lassoing Last Fight of the Valkyries, Zombies vs Polar Bears, and Zombies Ever After.